Online ordering menu for Vinny's Italian Gourmet. 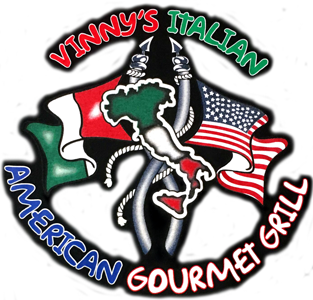 Vinny's Italian Gourmet is the place to be for authentic Italian cuisine in Newark, New Jersey! We serve seafood, pizza, wraps, burgers, and more! Our menu also features Ravioli, Manicotti, and Stuffed Shells. Find us south of New Jersey Institute of Technology at the corner of Washington Street and Branford Place. We're near Rutgers - Alumni Field and Prudential Center. Order online for carryout or delivery!